Merry Christmas! 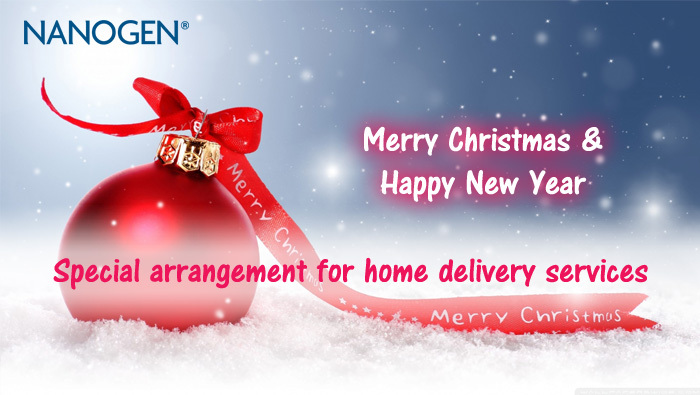 Our NANOGEN Online Shop will operate normally during the Christmas period, but due to the public holidays we can only dispatch your order on 29-Dec (Monday) if you purchase between 24-Dec and 28-Dec. If you have any enquiries during the Christmas holidays, then please email our 24 hours customer service, we’ll try to get back to you as soon as possible.